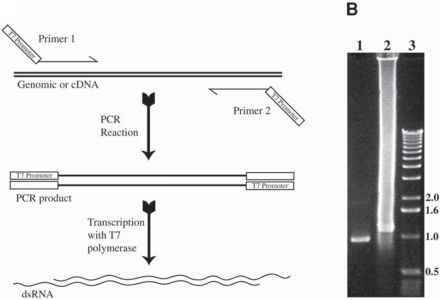 Establishing a standard curve of cells of known DNA content is very important because it demonstrates that the staining procedures are verifiable and that the equipment used for analysis is performing appropriately (see Figs. 7 and 8). The reference standards chosen should be appropriate for the unknowns to be tested (see Note 15). The nucleated blood cells of lower vertebrates are very suitable for photometric analysis (11,12,16). They can be prepared essentially as monolayer blood films using the regular techniques of a hospital hematology laboratory. When making a test slide of Drosophila hemolymph, it is practical to let a small droplet air-dry after touching it to a slide that already carries a short film of chicken red blood cell (RBC) nuclei. This makes a much better preparation for cytophotometry than trying to spread (actually shear) insect hemolymph (see Notes 16 and 17).